A child life specialist at NMCPC and a pediatric patient put a treatment mask on an action figure. Up until last year, children in the United Kingdom with cancer seeking treatment with proton therapy needed to travel outside of the country. While the U.K.’s National Health Service covered the cost of both treatment and travel, to either the University of Florida Proton Therapy Institute (UFHPTI) in Jacksonville, Florida, or the West German Proton Therapy Center (WPE) Essen, Germany, the journey would take a toll on families. 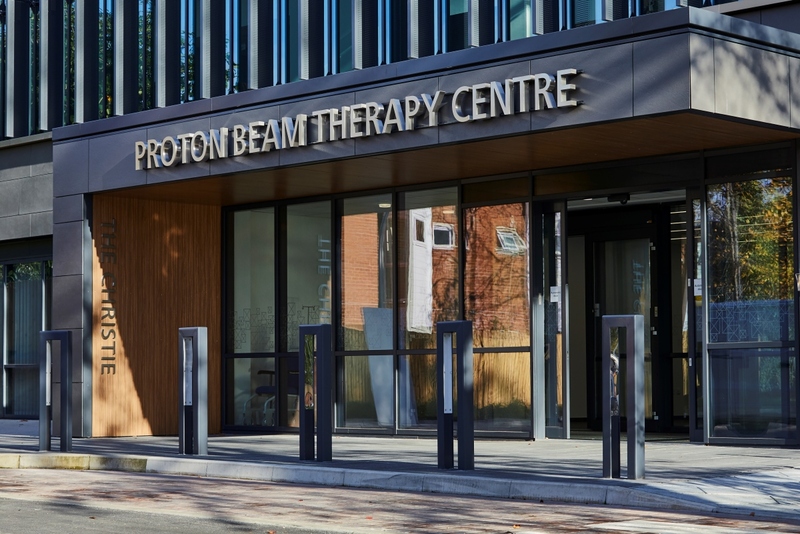 Things have changed with the opening in December of the first National Health Service (NHS) proton beam therapy center in the U.K., located at The Christie in Manchester. 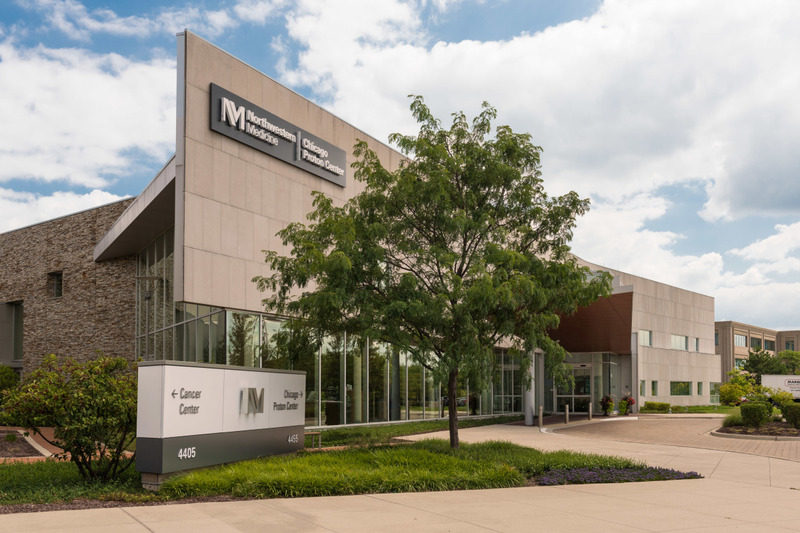 The center, which houses Varian’s ProBeam proton therapy solution, enables patients to receive treatment sooner and is much more convenient for patients and their families. Additionally, referring patients abroad is more expensive, with the cost of sending patients to the U.S. often costing the NHS more than $100,000. “You’re treating a relatively few number of patients for a lot of money,” Smith said. of the country’s busiest pediatric proton centers. Another center at UCLH in London is due to open in a year, and the two centers together will be able to serve the U.K. population. Access to proton therapy often necessitates travel, and proton centers are designed to accommodate these needs for pediatric patients and their families. Northwestern Medicine Chicago Proton Center is one of the country’s busiest pediatric proton centers and is located down the street from a Ronald McDonald House, which provides children and their families with a free place to stay, meals and shuttle service while undergoing treatment, and a comprehensive rehabilitation center, which provides rehabilitation services during treatment. These ancillary services are a critical part of the effort to make the treatment more accessible for children and their families, the majority of whom need to travel for the treatment. Access to proton therapy is a challenge for many children and their families,” said Dr. Vinai Gondi, director of research and education at the Northwestern Medicine Chicago Proton Center and senior author of a retrospective study that showed that proton therapy treatment for pediatric brain tumor patients was associated with better neurocognitive outcomes when compared to X-ray radiation therapy, presented last year at the American Society for Radiation Oncology (ASTRO) Annual Meeting and the International Symposium on Pediatric Neuro-Oncology Annual Meeting. Creating a community around the child’s care is also helpful. Staff at the proton center volunteer at the Ronald McDonald House, cooking meals and participating in activities. proton therapy at the Christie in Manchester. Before families even begin the process of traveling for treatment, access to proton therapy begins with education. Education also includes reporting outcomes. In May, the Pediatric Proton Consortium Registry (PPCR) reported that 1,854 patients had enrolled in the PPCR from October 2012 until September 2017. Training is also an important part of increasing education among physicians. The UFHPTI, which works with manufacturer IBA, is home to the largest pediatric proton therapy program in the United States, treating more than 1,700 kids since opening in 2006. It has a robust fellowship program that includes a dedicated pediatric fellowship that has had seven fellows since it started in 2011. The Maryland Proton Treatment Center has a "Magic Castle"
This sub-specialization is a yearlong program through the University of Florida that exposes fellows to a broad spectrum of pediatric malignancies and allows the trainees to develop expertise in multidisciplinary management in general and the use of proton therapy specifically, including appropriate selection of patients for protons, nuances with regard to immobilization and use of anesthesia, target and normal tissue contouring, the unique physical characteristics of protons and intricacies of proton treatment planning, the data supporting its use and the expected outcomes and potential acute and late effects of treatment. “Being one of the largest pediatric proton therapy programs in the world, fellows are exposed to a high number of cases,” said Dr. Ronny Rotondo, a radiation oncologist at UFHPTI. Massachusetts General Hospital and MD Anderson, among other facilities, have followed with similar pediatric fellowship programs. Roughly a third of patients at the University of Florida Proton Therapy Institute, which has been undergoing a $39 million expansion, are children, with 20 to 30 patients undergoing treatment on average at a given time. The institute is adding a fourth gantry treatment room with IBA’s ProteusONE solution that will largely be dedicated to pediatrics. Fortunately, approval by insurance companies in the United States doesn’t appear to be a barrier to care. 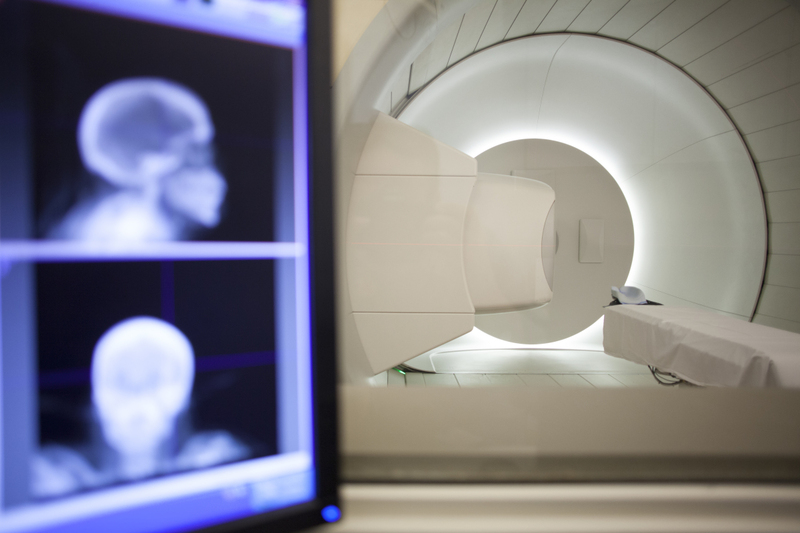 A University of Pennsylvania study found that Insurance companies end up covering proton therapy treatment, though roughly one in 10 were initially denied. The researchers also found that patients over 18 with a tumor that has similar characteristics and would be treated the same way, were initially denied four times as often as patients 18 and younger. Daniel Smith, executive director of the Alliance for Proton Therapy Access, which advocates for patients who have had their treatment denied by insurance companies and helps take their stories public, surmises that insurance companies are looking to avoid the public relations nightmare of denying care to children. "The fact that insurance companies are denying young adult cancer patients who develop a form of cancer that doctors consider pediatric is arbitrary and ignores the risk of side effects, including recurring cancer later in life," Smith said. That doesn’t mean insurance companies don’t often place barriers to pediatric treatment. Dr. John Breneman, the chief of pediatric radiation oncology and medical director of the Proton Therapy Center at Cincinnati Children's Hospital, said that while proton therapy is covered for almost all children who need it, the center often has to navigate initial denials, as insurance companies sometimes consider proton therapy experimental. Proton centers that specialize in pediatric care also employ best practices to help make the experience less scary for children. Northwestern and others employ child life specialists who work with children and introduce them to the treatment. Data shows that working with children and introducing them to the process can have a dramatic reduction in number of children who require anesthesia, according to Gondi. “There’s so much more involved in treating children than just proton therapy,” Gondi said. UFHPTI has resident artists who offer art therapy in the main lobby and recently upgraded its recovery room to make it more child friendly. The center also has a dedicated pediatric social worker and a child life specialist. The institute sees a significant number of international patients from the U.K., Norway, Canada, South America and as far away as Australia. The center makes use of language translation services and holds family social events once a week, inviting all the children and their families for activities such as visits from magicians and staff from the local zoo. 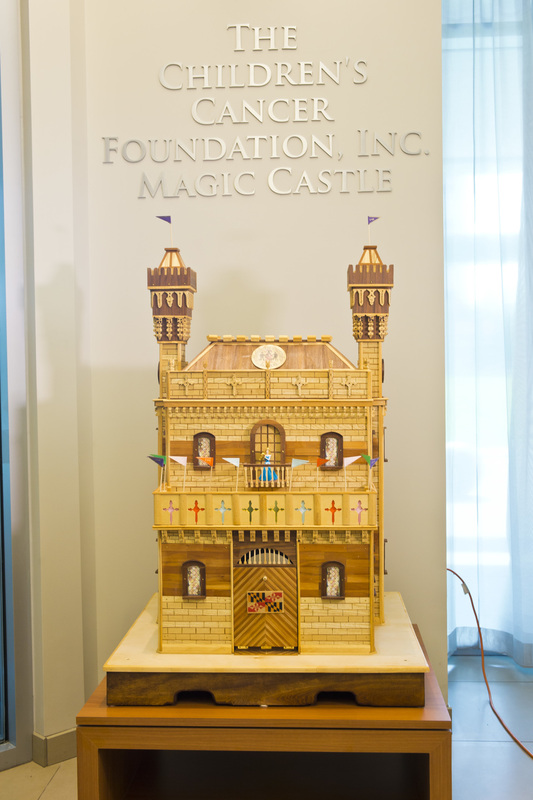 The Maryland Proton Treatment Center has what it calls a Magic Castle that allows children to ask for three wishes that are given to them in the form of gifts funded by the Children’s Cancer Foundation. Typical gifts include flat-screen TVs and laptops, though one child asked for a fence to keep deer out of his mom’s garden, said Dr. William Regine, a radiation oncologist at the center and the Isadore and Fannie Schneider Foxman chairman and professor of radiation oncology at the University of Maryland School of Medicine. As the number of proton centers continues to increase, access will get easier, experts say. The Maryland Proton Treatment Center, which also works with Varian, has been open since February 2016. A little less than 10 percent of the center’s patients are pediatric patients. Varian has seen at least three proton centers using its equipment come online in the last year, in Atlanta, the Netherlands, and the U.K. Continued research on the advantages of sparing healthy tissue, such as the study done at Northwestern, will ultimately help the case for access. Rotondo agreed that along with the decreasing cost of building proton facilities, with centers moving to more compact, single-room solutions, a growing amount of clinical data, published in journals and presented at national and international conferences, will also play an important role in increasing access.